Elipta Teak bollard lights use timber from a sustainable source, organically oiled during production to enhance and protect the grain. They will weather naturally in the garden; further oil, stain or varnish treatments may be applied by the user. 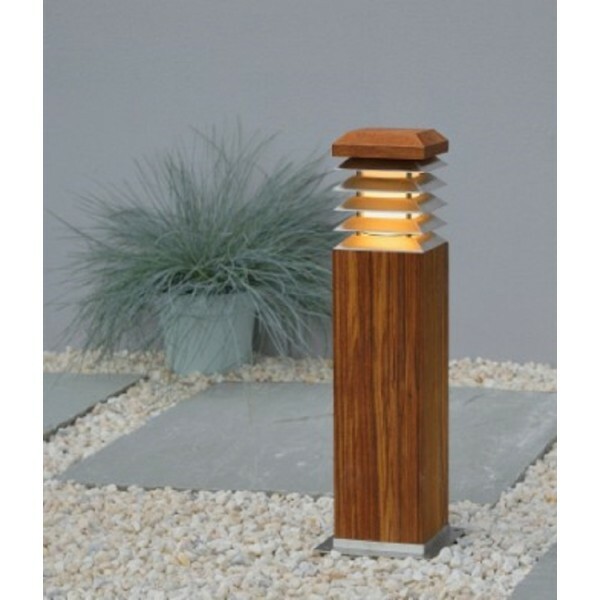 Teak bollard lights may be bolted to paving and slabs or to an optional ground-mount which can be installed in concrete prior to electrical installation. An optional galvanised ground spike is available for installation in planting and lawn areas. 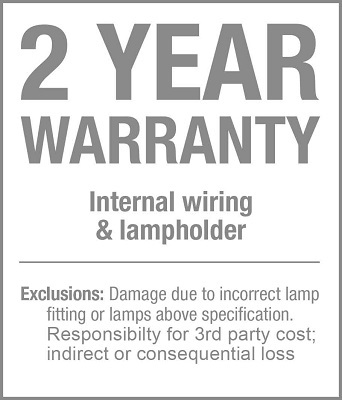 The diffuser is made of opal glass to hide the shape and all metal parts are 316 grade stainless steel. For added security, the Stratus features fixings concealed under the lower angled louvre. 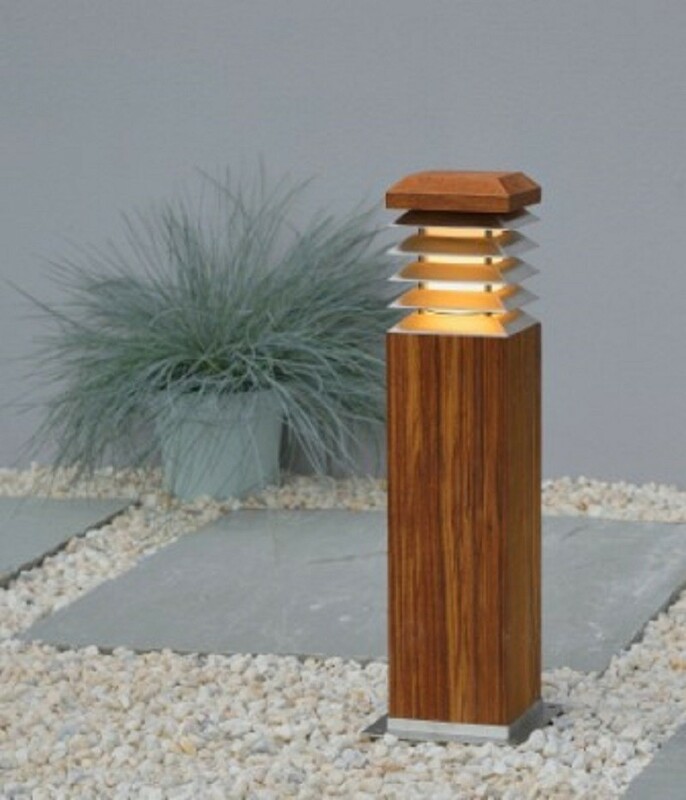 Elipta wooden bollard lights are 45cm high and available with 7 watts LED Candle lamp for driveways, around garden paths, decking and terraces. Pre-wired with 2m rubber cable for connection via T9969 underground joint kit: the installer may shorten the fitted cable to make a weatherproof connection inside the base of the light using a T9966 3 pole IP68 in-line Cable connector.